January 31, 2019 10:23 am. 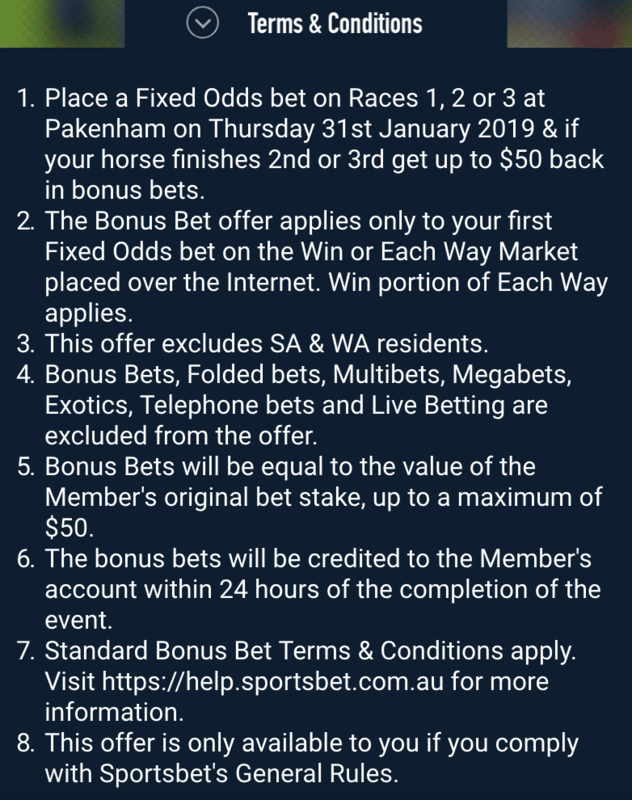 Punters looking towards Pakenham tonight to build a bank for the big weekend of racing ahead should look no further than Sportsbet for a quality promotion to begin the meeting. 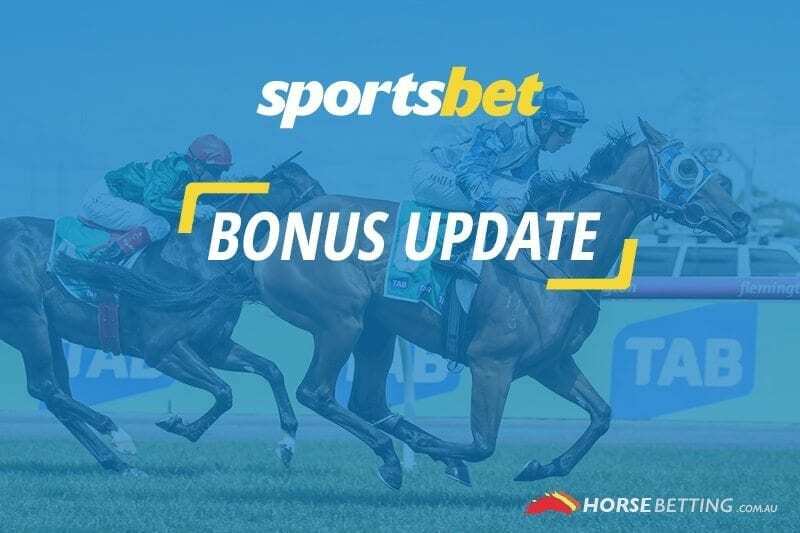 The Thursday night meeting at the iconic Victorian country track is a staple of our weekly punting routine and thanks to Sportsbet, we’ll have a better chance at leaving with more winners. 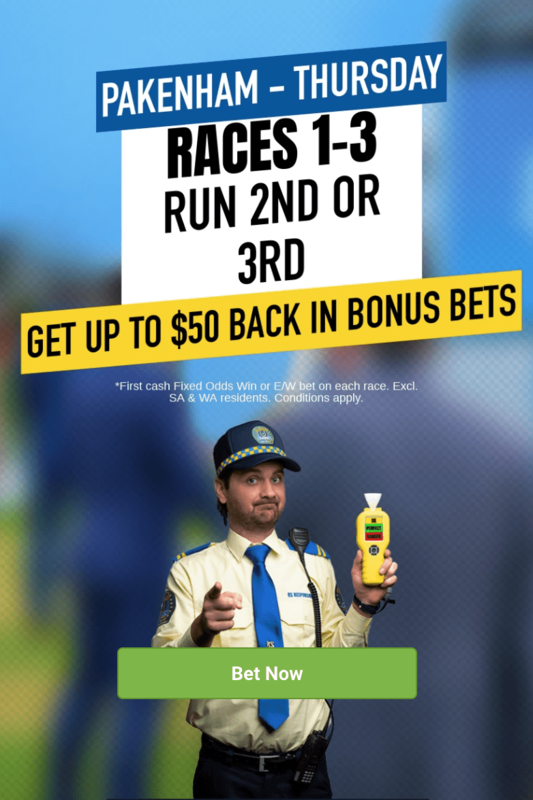 If you’re a Sportsbet member and bet on a fixed odds winner in the first three races at Pakenham, and your horse finishes second or third, you’ll get up to $50 back in bonus bets. The deal does exclude residents of South Australia and Western Australia because of state legislation. Please ensure you read all of the terms and conditions below carefully before betting and gamble responsibly. The eight-race card at Pakenham begins at 6pm AEDT.